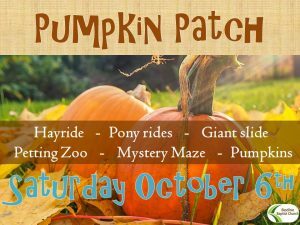 Saturday, October 6th – Chester’s Party Barn & Pumpkin Patch. We will meet at the church at 8am. Everyone is invited! There will be a meeting for the new series after morning services!! !